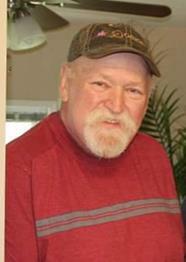 Phillip Henry Fisher, 63, of Troy, Montana passed away peacefully in his home April 1, 2019. He was born to Joyce Alice (Filiatreau) Fisher and Phillip Charles Fisher on April 14, 1955 in Libby, Montana. Phillip grew up in Troy and graduated from Troy High School in 1973. He then enlisted in the U.S. Air Force from 1973-1975. He married Danette C. Meyer on June 30, 1979 in Troy where they lived and raised four children. Phillip had various employment opportunities through the 80's and 90's. He worked at the Champion Mill, Asarco Mine, logged and he also owned a few local businesses along the way; US 2 Lube and Tire, Kootenai Café, and K&J Long Haul Trucking. He finished off his working career with Montanore Mines Management. Phillip loved to be active in his small town community. He enjoyed coaching kids youth baseball. He enjoyed attending and organizing Jack-N-Jill softball tournaments. He was involved in the Christmas tree lighting festivities, the water feature at the community pond, and the city council. His passion was attending his grandchildren's sporting events and school activities. He is survived by his children; Ben Fisher and wife Christina of Troy; daughters Dondi Fisher of Kalispell; Danel Fisher and husband Kohon Bicknell of Kalispell; and son Lewis Fisher and wife Nicky of Kalispell; 17 grandchildren and 1 great-granddaughter; brothers Bill Fisher, Jumbo McCully, Ed McCully, Sam McCully, and sister, Francis Stanton. He is preceded in death by wife, Danette C. Fisher, mother and father, Joyce and Phillip Fisher. Celebration of life and memorial potluck for family and friends will be held at the Fisher home (232 Mill Rd. Troy) on April 20, 2019 at 3:00 p.m. Arrangements are by Schnackenberg Funeral Home in Libby. Online condolences and memories may be shared at www.schnackenbergfh.com.